They Say 'Islamic Violence Is The New Normal' ... Our Answer? This. 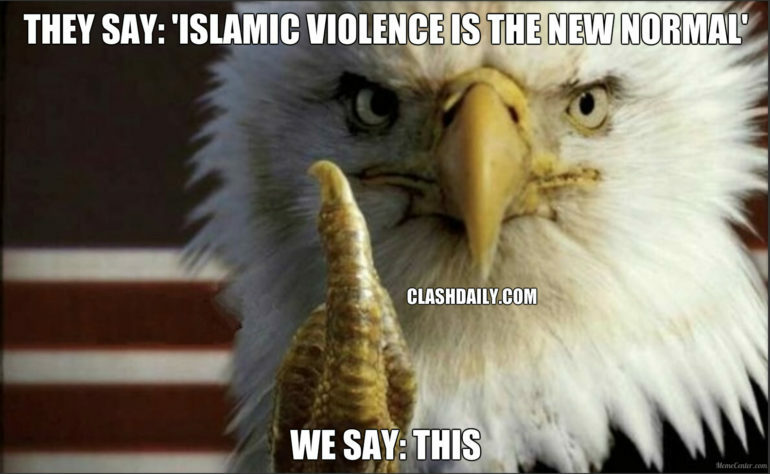 They Say ‘Islamic Violence Is The New Normal’ … Our Answer? This. People in Europe are ready to bend over and take it. But in America? It’s a different story. Even a Socialist should be able to understand this.